Sony, EA Origin and Steam were all hit by Utah resident Austin Thompson's attacks in 2013 and 2014. 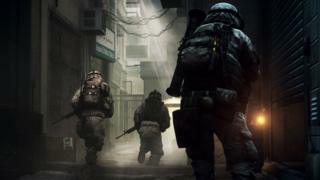 In the attacks, gamers were prevented from playing as Mr Thompson swamped connections to servers with huge amounts of bogus data - so-called denial of service attacks. Imminent attacks were announced via a Twitter account called "derptrolling" which also featured screenshots of error messages caused by the flood of data. Many of the game servers were offline for hours at a time. "Denial of service attacks cost businesses millions of dollars annually," said US attorney Adam Braverman in the DoJ statement. "We are committed to finding and prosecuting those who disrupt businesses, often for nothing more than ego."